Goa is the destination of choice for most youngsters and backpackers in India. If you are low on money yet high on spirit, a hotel with a good budget can help you get the maximum fun from your spending. Goa has its fair share of Luxury hotels and Resorts, but Goa tourism flourished exceedingly when the hippie generation arrived. And as we all know, this generation was not particularly inclined towards a luxury lifestyle. 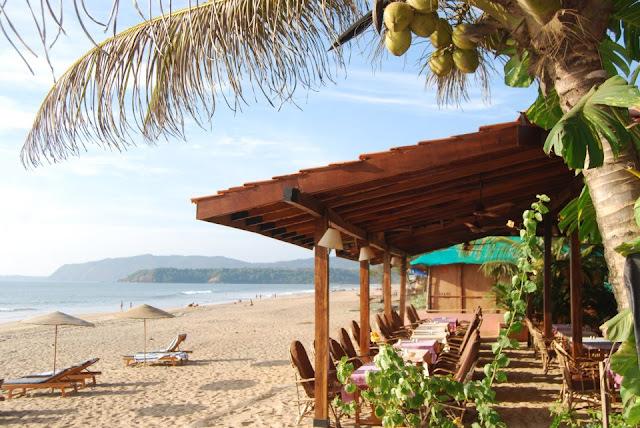 So whether you are a present generation hippie or someone who wants to take a quick and affordable vacation, these popular ‘value for money’ hotels will ensure that you make the best of your Goa trip, without burning a hole in your pocket. Dunhill Beach Resort Dunhill beach resort is located in Agonda, a perfectly quiet place from the maddening rush that Goa has some times. The property has 10 rooms only, but is one of the favorites for travelers who wish to find peaceful and serene environment to enjoy. All rooms are clean and well maintained. A guest can choose from different categories - Single, Double, Twin bedded, air conditioned or non AC. The property is in midst of coconut groves and trees, which adds to its charms. Sandra Luxury resort is located in the middle of Benalium and is an ideal place for families to enjoy their holidays. The resort is actually a set of 5 service apartments which are maintained by an English couple. The resort also has a swimming pool and provides food through an in-house cook; it is one of the most sought after resorts by foreign customers. Guests should make their bookings as early as possible, since the retreat has only 5 apartments. Casa Candolim is a boutique hotel located in Bandolim, Bardez. The hotel being a boutique has only 9 rooms and offers a quiet and elegant atmosphere. Casa Candolim provides a beautiful escape from the hustle bustle of Goa. This hotel has a restaurant and a swimming pool, which is rare for most hotels in the budget category. The hotel also provides car and bike rentals on demand. Belle Wista is actually a heritage bungalow located in Sangoldez, Bardez. The bungalow is a splendid revelation of Goa’s Portuguese past with its rich architecture and design. The hotel is run by a Goan family and has Portuguese style furnishing, décor and furniture and has special tariff plans for guests on long vacations. Bella Wista has been rated as 3 stars by Goa Tourism and has been operational since last 9 years. Willows elite resort is a small hotel located near Anjuna and just 10-minutes drive away from the famous Anjuna Beach & Mapusa City, night clubs & discotheques, night markets and the best tourist spots. The hotel has 8 well-maintained service apartments, a restaurant, and a bar. Before planning your next trip, also remember to check out popular travel websites for more deals and offers so that your Goa holidays are not only incredible but economic too! This will come in super handy the next time I go to Goa.